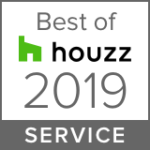 For the fourth consecutive year, Houzz.com has presented Stone Kitchens of Hermitage, PA with a Customer Service Award. 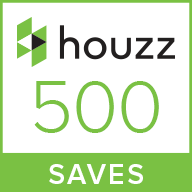 Houzz is the world’s largest home remodeling and design platform. 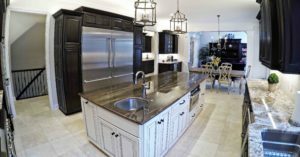 Over four million professionals, like Stone Kitchens, have profiles on Houzz.com which draws approximately 40 million unique users to its site every month. 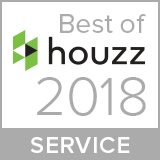 Less than two percent of the professionals listed on Houzz.com can display four consecutive Customer Service badges. 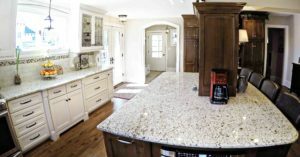 Stone Kitchens has done surface work in nearly ten thousand different rooms in Western Pennsylvania and Eastern Ohio. Artisan craftsmanship and customer service are at the heart of Stone Kitchen’s success. Visit their website or Houzz Profile for more information.